The music legend will perform with his band in Inverness, alongside Razorlight and Neon Waltz. 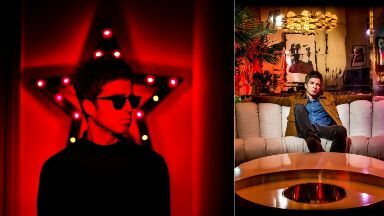 Noel Gallagher's High Flying Birds will be on stage in Inverness this summer. The music legend will perform with his band at an outdoor show in Bught Park on Saturday, June 8 as part of Live in the City. Last year was a successful period for the former Oasis star, who landed a Mercury Prize nomination for the High Flying Birds' album Who Built The Moon?, the band's third number one in a row. The band also toured extensively across North America, Europe and Asia, with Gallagher picking up the Best Album and Solo Artist accolades at the Q Awards. Razorlight and Neon Waltz have also been added to the Inverness line-up. Carlie Davidson, of organisers LCC Live, said: "Noel is a legend of the music industry, who along with his band, will take to the stage and deliver an array of classic songs from his career including recent hits Holy Mountain and It's A Beautiful World. "We're absolutely delighted to be organising his only Scottish outdoor show in 2019 at our fantastic arena in Bught Park. "It will be a great night and Noel Gallagher's High Flying Birds is a superb addition to our eclectic series of live concerts this summer."